What is the CNA Exam? CNA is the acronym for Certified Nursing Assistant. All CNAs are required to take and pass the CNA Exam. CNAs are also called Nurses Aides, Orderlies, Patient Care Technicians, or Home Health Aide. 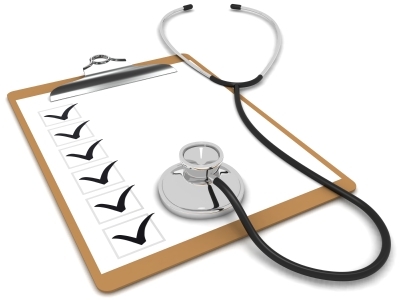 The Certified Nursing Assistants exam has a written section and a performance test. The Certified Nurse Assistant or CNA Exam is simply an objective diagnosis of a test taker's required foundation of knowledge and skills. State certification boards use CNA exam scores as a uniform standard of qualification. Though some people think this is unfair, all of a person's plans for the future may rest upon needing a certain CNA exam score. The CNA exam consists of two parts. Written CNA exam – The written portion of the exam is a multiple choice test. You should prepare for this by going over your notes and other materials that you have covered in classes. While the majority of people find this to be a fairly easy test covering the materials you have already learned, anxiety may be your worst enemy here. By preparing in advance you will increase your own confidence level and relieve that anxiety allowing yourself to apply your knowledge. As with any multiple choice test, if you are unsure of an answer on this test begin by eliminating answers that you know are incorrect. This will improve your chances of choosing the right one. Generally speaking, your first choice tends to be the right answer. Clinical CNA exam – The clinical portion of the exam is where you put your skills to the test and perform the basic nursing skills. These could include such things as moving a patient, taking vital signs, hand washing, making a bed and other skills you have learned and practiced. One of the greatest hinderances for soon-to-be CNAs in the clinical exam is that having a test proctor watching everything you do. However, you really will have to get used to this as you will always have a patient and often onlookers viewing you as you work. Just remember that you have been trained for this and you know what you are doing. In addition to studying your existing materials from classes, you may find it very helpful to use some of the online pretests and to visit some of the CNA forums. This will allow you to communicate with those that have already taken the exam and get your confidence built up. Always keep in mind that the worst thing that could possibly happen if you did very poorly for some reason is that you could take the exam again. Being a CNA is a great career that will serve you and others very well for years to come. You will have the opportunity to help a lot of people and impact many people for the better. This is the final step before stepping into your chosen career officially. It is an exciting time and you will soon be able to celebrate a victory. Our article on CNA Test Preparation should be helpful to you.